Tired of adjusting your fan belts the “old fashioned way” of laying on your belly, making up new words first loosening the hold down bolts then finding some big, long pry bar thing to swing out the alternator and AC compressors trying to get good tension on your fan belts so you won’t sound like the proverbial “squeeking wheel” that needs attention? 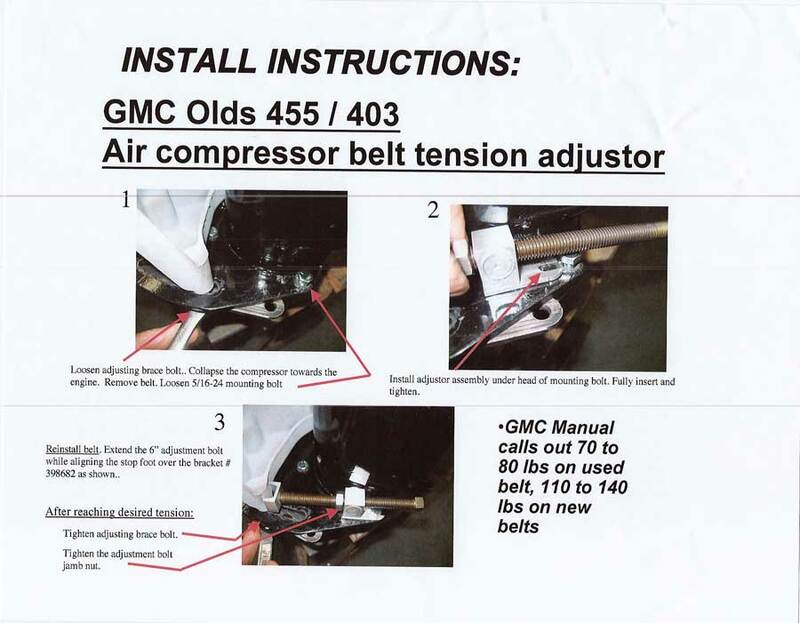 It seems like the belts loosen up at the worse possible time and when they do you simply can’t do it by yourself? Sorry for making this sound like a Ronco pets comb infomercial but there is now a better way! 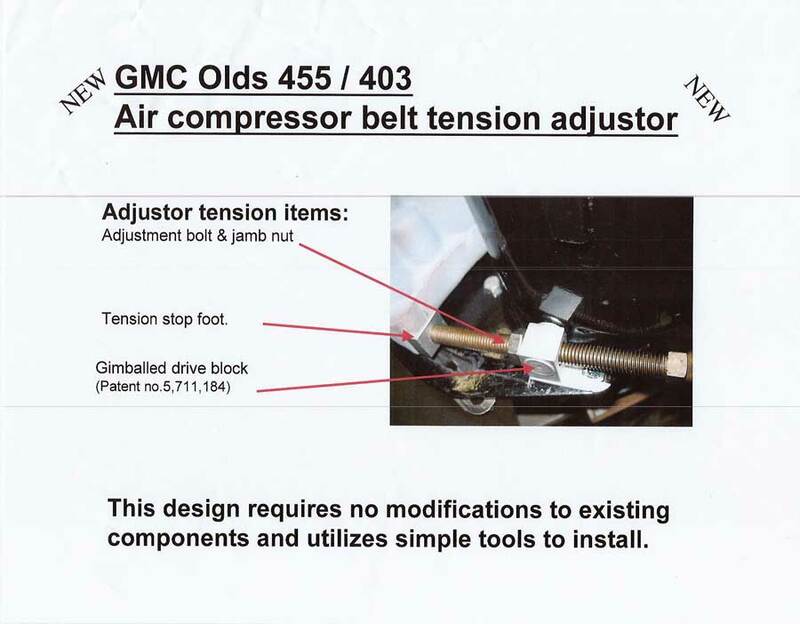 Click on these 2 new adjuster kits and you will see at least that part of our lives have become easier. 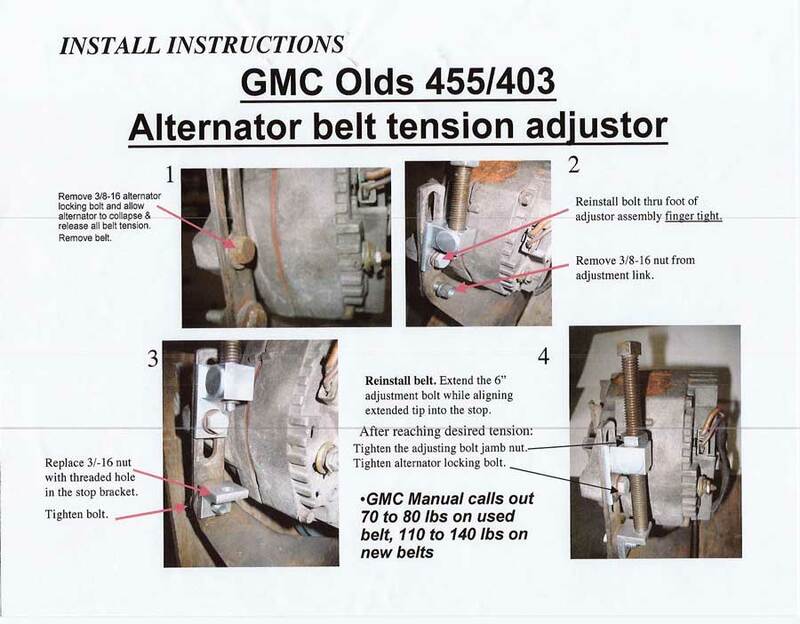 The brain child of a retired GMC owner, Tom, who worked with GM, these kits using a patented gimble assembly will help you big time in adjusting your alternator and AC compressor belts. Just think of it, you hear a belt squeeling and the next thought is not a 4 letter word! With these kits installed simply loosen the hold down bolts and crank in the adjustment you need, life just got that much easier! 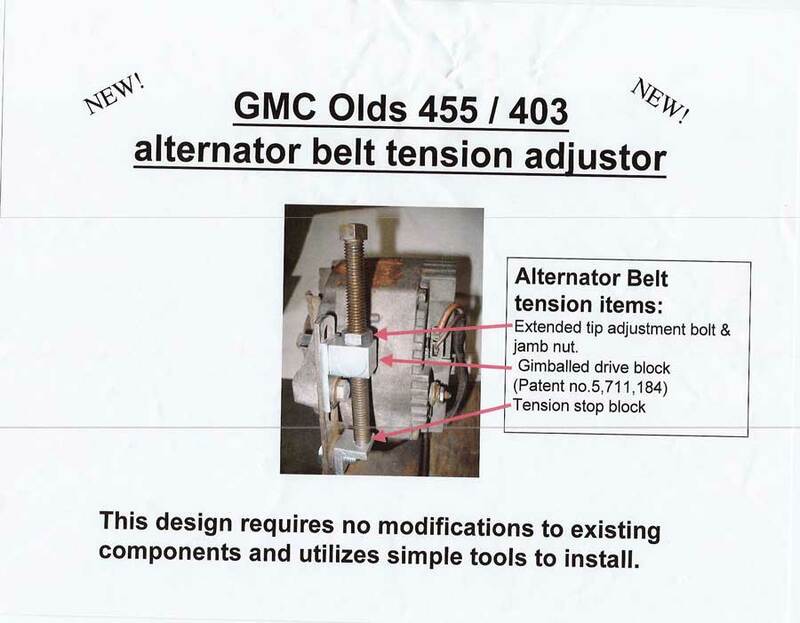 We have these here at $75 each, give us a call and you too can have a state of the art belt adjuster on your coach. !